Over the last 14 years teaching martial arts in Eastern North Carolina I have had a lot of people, Adults and Children, come through my doors. And there has been many success stories I have had the privilege of witnessing. But today I don’t want to talk about success stories. Today I want to talk about the failures that we as our society has made with Bullying. Yesterday we lost another child, in Pitt County who was bullied in school and probably online too. This is the 2nd time this year where someone was bullied who took their life. And quite frankly I am tired of this. The first young man was from North Pitt High School and was a friend of one of my students. From what I have been told my student was going to bring this young man to a class at my academy. Just didn’t make it. I have been all over the world and I just don’t understand why here in the USA our culture is different. Why is it that here in USA you feel good by victimizing another? By Putting Someone Down? Attacking THEM? The experts will tell you to make friends with them. That the bullies are also scared. And maybe that is true. But in the end, you have to understand something. When you have to make a decision between yourself or someone else. You have to chose YOURSELF! Until we get the “It is either them or us” mentality you can’t help yourself, Or your child. Now I am not advocating violence. I think that Violence should be avoided at Almost any cost. You notice I said Almost, But if violence comes to your door? You better be ready to hunt bear. Several other things you need to know. The school systems and school boards policies are not in place to protect your child. For the most part they are in place to keep them from being sued. So what kind of message are we sending our children when these school boards have policies that, even when you are protecting yourself and you defend yourself, you will get suspended. It is their “No Tolerance” rule. These school boards and policies will not decide or judge on an altercation. These school policies will just evenly give out same punishments to the attacker and the victim. If the victim decides to defend themselves. This is something you need to know as a parent. As a parent you need, sometimes, to allow your child to take the punishment just so they can stop this. As a parent you have to know, they don’t have to only terrorize your child at school. Bullies can sneak right in the house through the internet. 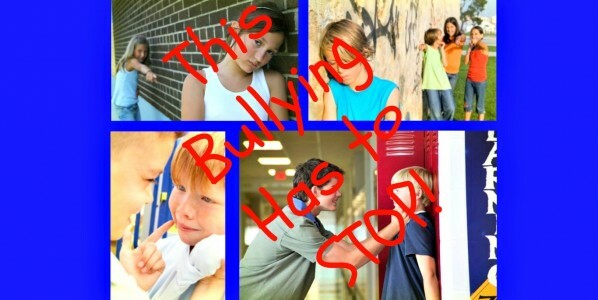 Online bullying is a problem that can be worst than personal verbal attacks. Yes both are really terrible but the online attacks are 24/7. They Never Let UP. The first step to stop and control things with online bullying is sad to say, because it penalizes the victim, is turning off the computer. Get off these websites of Hate. I know I will hear “But James why does my child have to leave” and like I said yes it is sad. But sometimes you have to stop the noise. Go spend time offline. Then you get help to prepare your child to deal with all this. They are not going away. Bullying Kid’s become Bullying Adults. Yes I know a few of those too. Just one child or person can change the world. We just have to get involved and build these Hero Children. If you think your child is being bullied please call me 252-341-6872 Day or Night on my Cell Phone and I WILL come on the scene! !